Ph.D Nuclear Engineering, University of Washington, Seattle, WA, June 1969. M.S. Physics, University of Washington, Seattle, WA, June 1964. B.A. Engineering Physics, Northwest Nazarene College, June 1961. Member and Fellow of American Nuclear Society. Past Chairman of the Radiation Protection and Shielding Division of the American Nuclear Society. 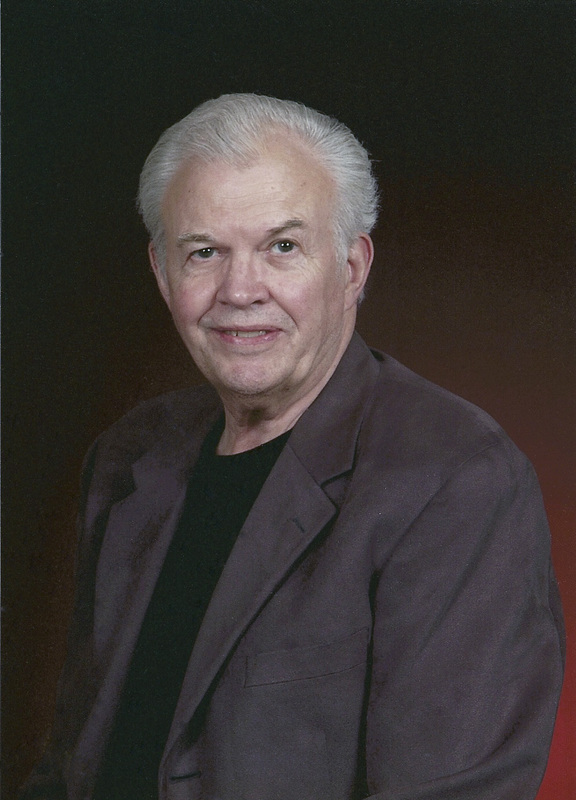 Dr. Lee Carter coordinated the effort in 1976-77 that combined a number of special-purpose Monte Carlo computer codes, along with an upgrade to an interactive rather than batch computer environment, to obtain the first release of the MCNP computer code that is now utilized extensively throughout the world. This effort launched a user-friendly code, with the powerful features of a point-wise treatment of cross sections in a flexible three-dimensional geometry treatment with accurate simulation of the neutron and photon physics, into a technical community that needed this computational tool for a wide variety of applications. Co-author of the ERDA Critical Review Series book, "Particle Transport Simulation with the Monte Carlo Method," TID-26607, (1975). Participated in criticality safety calculations and reviews for numerous projects at Westinghouse Hanford Company. Utilized sampling from the transport equation to optimize the sampling from the adjoint equation. While most of these applications are in the classified literature in the 1970's, the basic methods are described in the 1970 NS&E journal manuscript and in the LA-4488 report on MCNA. Performed sensitivity calculations to determine cross section measurements needed for shield designs involving neutron energies up to 50 MeV, and incorporated some specific measurements of the non-elastic cross sections from 20 to 50 MeV into calculations to reduce shielding uncertainties. [See 1983 publication in Nuclear Technology/Fusion].. Developed a method to optimize the selection of the scattering angle in Monte Carlo calculations of photon transport through shields. [See 1985 publication in NS&E]. Led an effort to develop the MCNP Visual Editor that is now utilized to set up Monte Carlo shielding and reactor physics calculations throughout the world. Publications include a book, 14 journal articles, 20 technical reports, and 56 technical meeting publications. L. L. Carter and E. D. Cashwell, "Particle Transport Simulation with the Monte Carlo Method," TID-26607, ERDA Critical Review Series, U. S. Energy Research and Development Administration, Technical Information Center, Oak Ridge, Tennessee (1975). L. L. Carter and N. J. McCormick, "Source Convergence in Monte Carlo Calculations," Nuclear Science and Engineering, 36, 438 (1969). L. L. Carter and N. J. McCormick, "Coupled Sampling with the Monte Carlo Method in Neutron Transport Calculation," Nuclear Science and Engineering, 39, 296 (1970). L. L. Carter, E. D. Cashwell, and W. M. Taylor, "Monte Carlo Sampling with Continuously Varying Cross Sections Along Flight Paths," Nuclear Science and Engineering, 48, 403 (1972). L. L. Carter and C. A. Forest, "Transfer Matrix Treatments for Multigroup Monte Carlo Calculations -- The Elimination of Ray Effects," Nuclear Science and Engineering, 59, 27 (1976). L. L. Carter, H. G. Horak, and M. T. Sandford II, "An Adjoint Monte Carlo Treatment of the Equations of Radiative Transfer for Polarized Light," Journal of Nuclear Materials, 26, 119 (1978). J. O. Schiffgens, R. L. Simons, F. M. Mann, and L. L. Carter, "Spatial Variations of Damage Parameters in FMIT and Their Implications," Journal of Nuclear Materials, 85, 491 (1979). J. S. Hendricks and L. L. Carter, "Computational Benchmark for Neutron Penetration in Iron," Nuclear Science and Engineering, 77, 71 (1981). F. M. Mann, F. Schmittroth and L. L. Carter, "Neutron Environment in d+Li Facilities," Journal of Nuclear Materials, 103 & 104, 1439 (1981). L. L. Carter, "Neutron Streaming Analysis for Shield Design of FMIT Facility," Nuclear Technology/Fusion, 2, 286 (1982). L. L. Carter, "Bulk Shield Design for Neutron Energies Below 50 MeV," Nuclear Technology/Fusion, 3, 165 (1983). L. L. Carter and J. S. Hendricks, "Anisotropic Angle Biasing of Photons," Nuclear Science and Engineering, 89, Number 2, February 1985. D. W. Wootan, J. A. Rawlins, L. L. Carter, H. R. Brager, R. E. Schenter, "Analysis and Results of a Hydrogen-Moderated Isotope Production Assembly in the fast Flux Test Facility," Nuclear Science and Engineering, 103, Number 2, October 1989. L. L. Carter, T. L. Miles, and S. E. Binney, "Quantifying the Reliability of Uncertainty Predictions in Monte Carlo Fast Reactor Physics Calculations," Nuclear Science and Engineering, 113, Number 4, April, 1993. L. L. Carter, "Optimization of Monte Carlo Calculations for Photon Sources from Actinides," Nuclear Technology, 103, Number 2, August, 1993. L. L. Carter and C. R. Richey, "A Monte Carlo Study of Homogeneous Plutonium and Uranium Mixtures," BNWL-3, Pacific Northwest Laboratories, Richland, Washington (1964). L. L. Carter, C. R. Richey, and C. E. Hughey. "GAMTEC-II: A Code for Generating Consistent Multi-Group Constants Utilized in diffusion and Transport Theory Calculations," BWNL-35, Pacific Northwest Laboratories, Richland, Washington (1965). L. L. Carter, "MCNA: A Computer Program to Solve the Adjoint Neutron Transport Equation by Coupled Sampling with the Monte Carlo Method," LA-4488, Los Alamos Scientific laboratory, Los Alamos, New Mexico (1971). L. L. Carter and C. A. Forest, "Nonlinear Radiation Transport Simulation with an Implicit Monte Carlo Method," LA-5308d, Los Alamos Scientific Laboratory, Los Alamos, New Mexico (1973). L. L. Carter, E. D. Cashwell, C. J. Everett, C. A. Forest, R. G. Schrandt, W. M. Taylor, W. L. Thompson, and G. D. Turner, "Monte Carlo Code Development at Los Alamos," LA-5903-MS, Los Alamos Scientific laboratory, Los Alamos, New Mexico (1975). Approximately 10 reports are in the Classified Literature during the period 1971 to 1977. L. L. Carter, W. R. Sloan, and R. A. Harris, "Monte Carlo Calculations of the Low Level Flux Monitors in the Inserted and Fully-Withdrawn Positions," Core Engineering Technical Progress Report, October, November, December 1977, HEDL-TME 77-49, Hanford Engineering Development Laboratory, Richland, Washington (1978). L. L. Carter, "Flux Maps Within FMIT Test Assemblies," Core Engineering Technical Progress Report, April, May, June 1978, HEDL-TME 78-43, Hanford Engineering Development Laboratory, Richland, Washington (1978). J. S. Hendricks and L. L. Carter, "Computational Benchmark for Deep Penetration in Iron," LA-8193-MS, los Alamos Scientific Laboratory, Los Alamos, New Mexico (1979). J. O. Schiffgens, R. L. Simons, F. M. Mann, and l. L. Carter, "FMIT Damage Parameter Sensitivity Study," HEDL-6555, Damage Analysis and Fundamental Studies (DAFS) Quarterly Progress Report for January-March 1979, U. S. Department of Energy, DOE/ET-0065/5 (1979). L. L. Carter, "Fission Fragment and Beta Particle Energy Deposition in the Fast Est Reactor (FTR)," Core Engineering Technical Progress Rerport, July, August, September 1978, HEDL-TME 78-44, Hanford Engineering Development Laboratory, Richland, Washington (1980). L. L. Carter, "Calculations of Nuclear Environment within the IRT," Core Engineering Technical Progress Report, January, February, March 1979, HEDL-TME 79-44, Hanford Engineering Development laboratory, Richland, Washington (1980). L. L. Carter, D. M. Lucoff, F. S. Moore, and R. B. Rothrock, "Nuclear Heat Deposition in Fast Test Reactor (FTR)," Core Engineering Technical Progress Report, October, November, December 1979, HEDL-TME 79-47, Hanford Engineering Development Laboratory, Richland, Washington (1980). R. J. Morford and L. L. Carter, "Neutron Activation of FMIT Materials," Core Engineering Technical Progress Report, January, February, March 1980, HEDL-TME 80-37, Hanford Engineering Development laboratory, Richland, Washington (1980). L. L. Carter et al., "FFTF EVFM Measurements," Core Engineering technical Progress Report, January, February, March, 1980, HEDL-TME 80-37, Hanford Engineering Development Laboratory, Richland, Washington (1980). L. L. Carter, "Perturbation of Nuclear Environment Within Core Support Structure Due to Streaming Within the In-Reactor Thimble (IRT)," Core Engineering Technical Progress Report, July, August, September 1980, HEDL-TME 80-39, Hanford Engineering Development Laboratory, Richland, Washington (1981). L. L. Carter, "Neutron Dose Rates in the FFTF head Compartment," Core Engineering Technical Progress Report, October, November, December 1980, HEDL-TME 80-40, Hanford Engineering Development Laboratory, Richland, Washington (1981). L. L. Carter and S. A. Schenter, "Perturbation in Fission Chamber Measurements Due to neutron Scattering Within Chamber," Core Engineering Technical Progress Report, January, February, March 1981, HEDL-TME 81?20, Hanford Engineering Development Laboratory, Richland, Washington (1981). L. L. Carter, "Preliminary 3-Dimensional Evaluation of Nuclear Energy Deposition Within FTR," Physics and Irradiation Testing Technical Progress Report, October 1981 - March 1982,HEDL-TME 82-34, Hanford Engineering Development laboratory, Richland, Washington (1982). R. J. Morford and L. L. Carter, "FMIT Window Design," Physics and Irradiation Testing Technical Progress Report, October 1981-March 1982, HEDL-TME 82-34, Hanford Engineering Development Laboratory, Richland, Washington (1982). T. F. Cillan, L. L. Carter and A. D. Wilcox, "Decay Heat Data Base for Irradiated Assemblies," Physics and Irradiation Testing Technical Progress Report, October 1981 - March 1982, HEDL-TME 82-34, Hanford Engineering Development Laboratory, Richland, Washington (1982). L. L. Carter, "Nuclear Heating of FMIT Target Backing Plate," Physics and Irradiation Testing Technical Progress Report, October 1981 - March 1982, HEDL-TME 82-34, Hanford Engineering Development Laboratory, Richland, Washington (1982). L. L. Carter, "FMIT Service Cell Shield Calculations," Physics and Irradiation Testing Technical Progress Report, October 1981 - March 1982, HEDL-TME 82-34, Hanford Engineering Development Laboratory, Richland, Washington (1982). R. J. Morford, L. L. Carter and G. P. Glazier, "Monte Carlo Albedo (MOCAL) Computer Code," Physics and Irradiation Testing Technical Progress Report, October 1981 - March 1982, HEDL-TME 82-34, Hanford Engineering Development Laboratory, Richland, Washington (1982). R. J. Morford and L. L. Carter, "FMIT Window Design," Physics and Irradiation Testing Technical Progress Report, October 1981 - March 1982, HEDL-TME 82-34, Hanford Engineering Development Laboratory, Richland, Washington (1982). R. J. Morford and L. L. Carter, "FMIT Neutron Streaming," Physics and Irradiation Testing Technical Progress Report, April, May, June 1982, HEDL-TME 82- , Hanford Engineering Development Laboratory, Richland, Washington (1982). L. L. Carter and T. F. Cillan, "Gamma Ray Cross Sections for Set 500," Physics and Irradiation Testing Technical Progress Report, July-December 1982, HEDL-TME 82- , Hanford Engineering Development Laboratory, Richland, Washington (1982). L. L. Carter, Self-Shielding Factors for FFTF Reactor Characterization Measurements, HEDL-TC-2248, Hanford Engineering Development Laboratory, Richland, Washington, (1983). L. L. Carter, F. S. Moore, R. J. Morford, and F. M. Mann, Comparison of Calculational Methods for Liquid Metal Reactor Shields, HEDL-TME 85-16, Hanford Engineering Development Laboratory, Richland, Washington, (1985). A. K. Hess, J. S. Hendricks, G. W. McKinney, and L. L. Carter, Verification of the MCNP Perturbation Correction Feature for Cross-Section Dependent Tallies, LA-13520, Los Alamos National Laboratory, Los Alamos, New Mexico, (1998). L. L. Carter, "Coupled Sampling with the Monte Carlo Method in Time-Dependent Neutron Transport Calculations," Trans. Amer. Nucl. Soc., 12, 730 (1969). L. L. Carter and D. B. Smith, "Two-Stage Monte Carlo Calculations of Delayed-Neutron Response," Trans. Amer. Nucl. Soc., 13, 730 (1970). L. L. Carter, "The Utilization of Coupled Sampling to Solve the Adjoint Neutron Transport Equation," in Proceedings of a Seminar, aA Review of the Monte Carlo Method for Radiation Transport Calculations, ORNL-RSIC-29, 7 (1971). L. L. Carter, E. D. Cashwell, and R. G. Schrandt, "The Simulation of Low Energy Photon Transport and the Simulation of the Adjoint Neutron Transport Equation with Monte Carlo," in Proceedings of a Seminar, A Review of Calculations of Radiation Transport in Air; Theory, Techniques, and Computer Codes, ORNL-RSIC-33, 197 (1972). D. R. Koenig and L. L. Carter, "Analysis of 239Pu and 235U Resonance Self-Shielding Experiments," Trans. Amer. Nucl. Soc., 17, 491 (1973). R. J. Olson and L. L. Carter, "Calculation of the Response to Neutrons for a Detector Moving in the Atmosphere," Trans. Amer. Nucl. Soc., 23, 608 (1976). L. L. Carter, "General Purpose Monte Carlo Codes and Applications," Trans. Amer. Nucl. Soc., 27, 366 (1977). L. L. Carter and R. J. Morford, "Shielding Calculations for the Fusion Materials Irradiation Test Facility," Trans. Amer. Nucl. Soc., 30, 618 (1978). L. L. Carter and J. S. Hendricks, "Computational Benchmark for Deep Penetration in Iron," Trans. Amer. Nucl. Soc., 33, 663 (1979). L. L. Carter, R. J. Morford, and A. D. Wilcox, "Nuclear Data Relevant to Shield Design of FMIT Facility," an invited paper, Proceedings of a Symposium on Neutron Cross Sections form 10-50 MeV, held at Brookhaven National Laboratory, May 12-14, 1980. F. M. Mann, F. Schmittroth, and L. L. Carter, "Neutron Environment in d+Li Facilities," Proceedings of a Symposium on Neutron Cross Sections from 10-50 MeV, held at Brookhaven National Laboratory, May 12-14, 1980. W. L. Bunch, L. L. Carter, F. S. Moore, E. J. Werner, A. D. Wilcox, and M. R. Wood, "Neutron and Gamma Characterization Within the FFTF Reactor Cavity," an invited paper at the meeting on Advances in Reactor Physics and Shielding, held in Sun Valley, Idaho, September 14-17, 1980. L. L. Carter, "Point Monte Carlo Data Needs and Constraints," Proceedings Conference Nuclear Data Evaluation Methods and Procedures, September 22-25, 1980, BNL-NCS-51363, B. A. Magurno and S. Pearlstein, Editors, Brookhaven National Laboratory (1981). L. L. Carter, "Neutron Streaming Analysis for Shield Design of FMIT Facility," Trans. Amer. Nucl. Soc., 38, 562 (1981). R. J. Morford, F. M. Mann, D. L. Johnson, A. D. Wilcox and L. L. Carter, "FMIT Deuteron and Neutron Activation," Trans. Amer. Nucl. Soc., 39, 774 (1981). L. L. Carter, A. D. Wilcox and D. E. Hegberg, "Nuclear Heat Deposition for a Fusion-Like Neutron Environment," Trans. Amer. Nucl. Soc., 39, 784 (1981). L. L. Carter, "Self-Shielding Factors for FFTF Flux Measurements," Trans. Amer. Nucl. Soc., 43, 710 (1982). L. L. Carter and J. S. Hendricks, "Biasing Anisotropic Scattering Kernels for Deep-Penetration Monte Carlo Calculations," Trans. Amer. Nucl. Soc., 45, 603 (1983). L. L. Carter and T. F. Cillan, "Calculational; Tracking of Decay Heat For FFTF Assemblies," Trans. Amer. Nucl. Soc., 50, 410 (1985). L. L. Carter and W. L. Bunch, "Preliminary Upper Axial Shield Design for Space Reactor Ground Test," Trans. Amer. Nucl. Soc., 55, 546 (1987). L. L. Carter, R. J. Morford and F. M. Mann, "Calculational Methods Comparison for Liquid Metal Reactor Shields," Proceedings, Theory and Practices in Radiation Protection and Shielding, April 22-24, 1987, Knoxville, Tennessee, ISBN:0-89448-132-0, ANS # 700121. L. L. Carter and R. A. Schwarz, "Preliminary Shield Design for the SP-100 Ground Test," WHC-SA-0362, (1989). Presented at 6th Symposium on Space Nuclear Power Systems at Albuquerque, New Mexico on January 9-12, 1989. J. A. Rawlins, F. A. Schmittroth, F. M. Mann, R. E. Schenter, A. H. Lu, L. L. Carter, D. W. Wootan and R. A. Schwarz, H. R. Bragger, W. Y. Mattsumoto, "Physics of Plutonium-238 Production in the Fast Flux Test Facility," Trans. Amer. Nucl. Soc., 60, 276-277 (1990). L. L. Carter, D. W. Wootan and R. A. Schwarz, "Monte Carlo Optimization Technique Applied to Plutonium-238 Production in FFTF, " Trans. Amer. Nucl. Soc., 60, 637-638 (1989). R. A. Schwarz, L. L. Carter and D. W. Wootan, "Calculational Methods Used in Evaluating the ulti-Isotope Production Assembly Experiment," Trans. Amer. Nucl. Soc., 61, 346-347 (1990). J. S. Lan and L. L. Carter, "Physics Calculations for Radioisotope Production and Retrieval," Full paper in LMR: A Decade of LMR Progress and Promise, ANS Winter Meeting, November 11-15, 1990. Published by ANS, ANS Order No. 700157. D. W. Wootan, et. al., "Isotope Production Test in the Fast Flux Test Facility," Full paper in LMR: A Decade of LMR Progress and Promise, ANS Winter Meeting, November 11-15, 1990. Published by ANS, ANS Order No. 700157. J. S. Lan and L. L. Carter, "Nuclear Heat Deposition Calculations for EBR-II Special Material Tests," Trans. Amer. Nucl. Soc., 63, 447-448 (1991). L. L. Carter, R. F. Eggers, and T. L. Williams, "Calculations to Support Design of a Nuclear Material Tracking System," Trans. Amer. Nucl. Soc., 64, 200-201 (1991). R. J. Morford, L. L. Carter and E. R. Siciliano, "MOCAL, A Monte Carlo Albedo Code," Proceedings of the American Nuclear Society Topical New Horizons in Radiation Protection and Shielding, p. 239 April 26-May 1, 1992, Pasco, Washington. R. A. Schwarz, L. L. Carter, F. A. Schmittroth and L. B. Brown, "Online Calculation of the Decay Heat of Assemblies at the Fast Flux Test Facility," Proceedings of the American Nuclear Society Topical New Horizons in Radiation Protection and Shielding, p. 480, April 26-May 1, 1992, Pasco, Washington. L.L. Carter, R.F. Eggers, and T.L. Williams, "Monte Carlo Calculations of Detector Responses Due to PuO2 Sources," Proceedings of the American Nuclear Society Topical New Horizons in Radiation Protection and Shielding, p. 603, April 26-May 1, 1992, Pasco, Washington. L. L. Carter and K. E. Hillesland, "Massively Parallel Monte Carlo Calculations with Workstations," Proceedings of the American Nuclear Society Topical New Horizons in Radiation Protection and Shielding, p. 29, April 26-May 1, 1992, Pasco, Washington. L. L. Carter, "Optimization of Monte Carlo Calculations for Photon Sources from Actinides," Trans. Amer. Nucl. Soc., 66, 415-416 (1992). R. A. Schwarz, L. L. Carter, T. P. Dole, S. M. Fredrickson, and B. M. Templeton, "Graphical User Input Interface for MCNP," Trans. Amer. Nucl. Soc., 69, 401 (1993). R. A. Schwarz, L. L. Carter and K. E. Hillesland, "Calculation of Radiation Fields for Hanford Site Tank Riser Modifications," Trans. Amer. Nucl. Soc., 71, 603 (1994). Full paper also in embedded topical. J. S. Lan, D. W. Wootan, L. L. Carter, W. L. Bunch, L. I. Covey, and J. Greenborg, "B-Plant Exhaust Filter Inventory Analysis," Trans. Amer. Nucl. Soc., 71, 623 (1994). Full paper also in embedded topical. J. S. Lan, L. L. Carter, D. W. Wootan, and J. Greenborg, "Monte Carlo Optimization of Electron Transport for a Radionuclide Inventory Assessment," Trans. Amer. Nucl. Soc., 72, 104-105 (1995). J. S. Lan, L. L. Carter, A. T. Kee, J. Greenborg, "Radiaological Streaming Between a Canister Package System and a Transportation Cask," Trans. Amer. Nucl. Soc., 73, (1995). L. L. Carter, "Monte Carlo Optimization, Including Recognition of Poorly Posed Tallies," Proceedings of the American Nuclear Society Topical Radiation Protection and Shielding, p 967, April 21-25, 1996, No. Falmouth, Massachusetts. J. S. Lan, L. L. Carter, S. F. Kessler, B. S. Carlisle, and J. Greenborg, "Nuclear Criticality Safety Analysis of a Spent Fuel Retrieval System, Operational Limits and Controls", Proceedings of the American Nuclear Society Topical Criticality Safety Challenges in the Next Decade, p 325-332, September 7-11, 1997, Chelan, Washington. R. A. Schwarz, L. L. Carter, K. E. Hillesland, and V. E. Roetman, "Advanced MCNP Input File Creation Using the Visual Editor," Proceedings of the American Nuclear Society Topical Radiation Protection and Shielding Division, Technologies for the New Century, p II-317-324, April 19-23, 1998, Nashville, Tennessee. L. L. Carter, R. C. Little, J. S. Hendricks, and R. E. MacFarlane, "New Probablity Treatment in MCNP for Unresolved Resonances," Proceedings of the American Nuclear Society Topical Radiation Protection and Shielding Division, Technologies for the New Century, p II-341-347, April 19-23, 1998, Nashville, Tennessee. R. A. Schwarz, L. L. Carter, and J. Pfohl, "A Microsoft Windows Version of the MCNP Visual Editor," Trans. Amer. Nucl. Soc., 81, 256-257 (1999). L. L. Carter and J. G. McFadden, "Optimum k-eff Determination Using Spherical Outer Boundary for Hexagonal Lattice Arrays," Trans. Amer. Nucl. Soc., 81, 174-175 (1999). R. A. Schwarz and L. L. Carter, "Current Status of the MCNP Visual Editor," Proceedings of the American Nuclear Society Topical Radiation Protection and Shielding Division, 12th Biennial RP&S Topical Meeting, Thursday PM (on CD), April 14-18, 2002, Santa Fe, New Mexico. E. D. Clayton, C. R. Richey, R. C. Lloyd, S. R. Bierman, and L. L. Carter, "Criticality Research on Plutonium," Criticality Control of Fissile Materials, SM-70/32, International Atomic Energy Agency, Vienna (1966). L. L. Carter, E. D. Cashwell, T. J. Hirons, B. J. McArdle, R. E. Seamon, and P. D. Soran, "Monte Carlo Transport Simulation for Design Studies and Analysis of Integral Experiments," in Proceedings of the International Conference on the Interactions of Neutrons with Nuclei, CONF-760715-P2, U. S. Energy Research and Development Administration, Technical Information Center, Oak Ridge, Tennessee (1976). O. L. Deutsch and L. L. Carter, "Simultaneous Global Calculation of Flux and Importance with Forward Monte Carlo," Proceedings of the Fifth International Conference on Reactor Shielding, Science Press, Princeton (1977). L. L. Carter, "Neutron Environment in the Fusion Materials Irradiation Test Facility," Third International Dosimetry Conference, Ispra, Italy (October 1979). L. L. Carter, R. J. Morford, and A. D. Wilcox, "Monte Carlo Applications at Hanford Engineering Development Laboratory," Proceedings of a Seminar-Workshop on Theory and Application of Monte Carlo Methods, ORNL/RSIC-44, held at Oak Ridge, Tennessee, April 21-23, 1980. D. L. Johnson, F. M. Mann, L. L. Carter, F. L. Woodruff, F. P. Brady, J. L. Romero, J. L. Ullman, M. L. Johnson, and D. M. Castaneda, "The Transmission of Fast Neutrons form the Li(d,xn) Reaction through Thick Iron," Proceedings of the Sixth International Conference on Radiation Shielding held form May 16-20, 1983, in Tokyo, Japan, Vol. 1, 515 (1983). L. L. Carter, F. M. Mann, R. J. Morford, A. D. Wilcox, D. L. Johnson, and S. T. Huang, "Shield Design for the Fusion Materials Irradiation Test Facility," Proceedings of the Sixth International Conference on Radiation Shielding held form May 16-20, 1983, in Tokyo, Japan, Vol. 2, 655 (1983). R. J. Morford, W. L. Bunch, L. L. Carter, J. W. Daughtry, R. A. Schwarz, and W. P. Stinson, "Source Term and Shielding Calculations to Support Decommissioning of Shippingport Reactor," Proceedings of the Seventh International Conference on Radiation Shielding held form September 12-16, 1988 at Winfrith, England, Vol. I, (1988). L. L. Carter, W. L. Bunch, R. J. Morford, D. W. Wootan, and R. A. Schwarz, "Monte Carlo Applications for The Design and Operation of Nuclear Facilities," Proceedings of the Seventh International Conference on Radiation Shielding held form Sept 12-16, 1988 at Winfrith, England, Vol. II, (1988). L. L. Carter and J. S. Lan, "Parametric Design Calculations Using Green's Function to Determine Unique Source," Proceedings of the International Topical Meeting, Advances in Mathematics, Computations, and Reactor Physics, April 28 - May 2, 1991, American Nuclear Society, ISBN: 0-89448-161-4. L. L. Carter, J. S. Lan, and R. A. Schwarz, "Enhanced Physics Design with Hexagonal Repeated Structure Tools Using Monte Carlo Methods", Proceedings of the International Topical Meeting, Advances in Mathematics, Computations, and Reactor Physics, April 28 - May 2, 1991, American Nuclear Society, ISBN: 0-89448-161-4. R. A. Schwarz, L. L. Carter and N. Shrivastava, "Creation of MCNP Input Files with a Visual Editor," Proceedings of the 8th International Conference on Radiation Shielding, p. 454-459, April 24-28, 1994, Arlington, Texas, Published by the American Nuclear Society, La Grange Park, Illinois 60525. L. L. Carter, R. J. Morford, S. M. Frederickson, and K. Hillesland, "Point Kernel Option in MCNP at the Hanford Site," Proceedings of the 8th International Conference on Radiation Shielding, p. 1219-1224, April 24-28, 1994, Arlington, Texas, Published by the American Nuclear Society, La Grange Park, Illinois 60525. R. A. Schwarz, R. J. Morford, L. L. Carter, G. B. Jones, and J. Greenborg, "Operational Dose Rate Visualization Techniques," Proceedings of the 8th International Conference on Radiation Shielding, p. 1225-1232, April 24-28, 1994, Arlington, Texas, Published by the American Nuclear Society, La Grange Park, Illinois 60525.